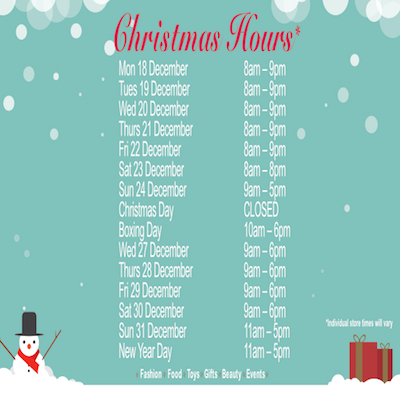 We have extended our hours for Christmas so you can shop longer! Individual retailers may vary. Please check with store.